Compression tends to be one of those guitar effects with negative connotation among certain players, and in our opinion that is an unfair state of affairs. If properly utilized, compression cuts out all the unwanted sonic peaks in your performance and delivers a genuinely better audio attack. However, if overused, the compression will result in an incredibly sterile sound, hence all the hate out there. So to give you a more broad perspective on the matter, we have decided to jot down some of the most prominent types of guitar compressors. Check ’em out below! This would be the most versatile type of compressors in our opinion. The VCA models can rapidly change their level of gain in response to a vast array of detectors. If you are looking to achieve a very strict and precise control over the dynamics of your sonic mix, we thing that utilizing a VCA is the way to go. These puppies can be as gentle as any other compression device on the market, but also tighten things up and present strict tonal control over any sound source, including everything from synths to vocals and of course guitars. Up next are the opto compressors, a nifty line of devices that operates by using LED lights or light bulbs to make changes in gain level as the device corresponds to the incoming sound signal from the source. Then, a photocell is utilized to track the varying brightness of the bulb and accordingly alter its gain. 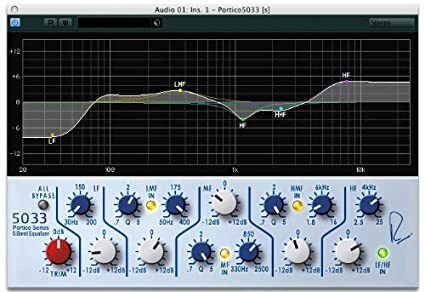 In simpler terms, these compressors are smoother and somewhat lighter, making them quite appropriate for bass guitars and vocals, but also for drums. They are simple, easy to use and quite versatile. This would be the software solution. Cheaper that the physical devices, digital compressors replicate the sonic features of analog tools and deliver them in digital moniker. They have the ability to process sound in the digital domain while retaining an infinitely precise level of control. However, they are what they are – a replication of the real deal, meaning that they usually can’t attain that high-end sound quality of analog models. On the up side, though, they are also significantly cheaper and more affordable, while still packing a strong punch and high quality. Up next, we bring you the FET compressors. These devices operate by emulating vacuum tubes with transistor circuits, securing high impedance and a unique sound. A variety of Field Effect Transistor models is available on the market, and the majority of them is bound by clean and fast work modes. They are quick in attacking the sonic signal, and deliver a smooth sound easy to control. Additionally, they don’t ever really color the sound, but can do so if proper tweaks are made. Notable example: Purple Audio MC77. Thus, in a nutshell, these are the four most prominent types of compressors you can find on the market these days. We did our best to bring you the best of the best, and we guarantee that you can make no mistake in choosing any of the listed products. However, we recommend inspecting the goods here more thoroughly and jotting down your exact needs and preferences. Once that is out of the way, feel free to treat yourself with any of these bad boys as early as today. Highly recommended, a major thumbs up from here!